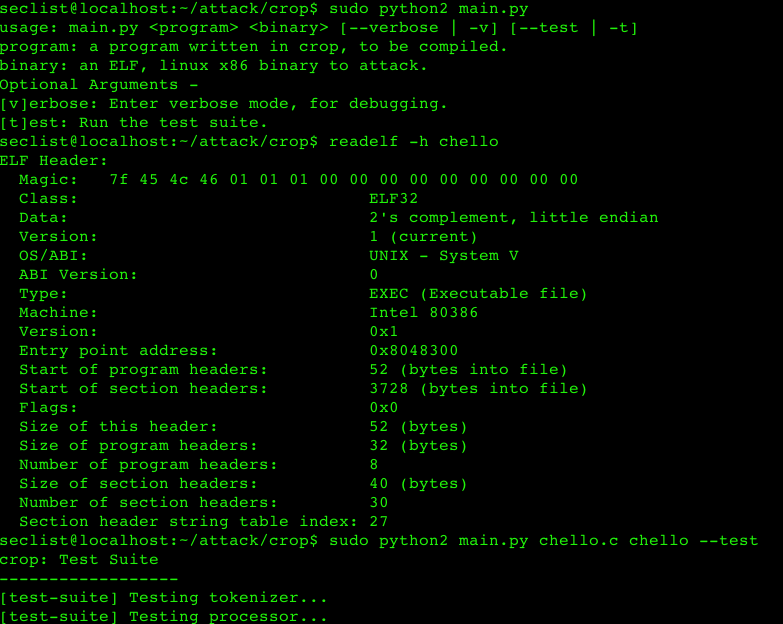 Browse: Home / crop – C-style language ROP Compiler for CFI-hardened system attacks. crop is a simple compiler for ROP gadgets. Will be optimized for CFI-based attacks. 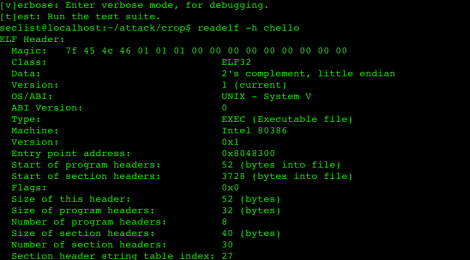 + creating the smallest x86 ELF binary that would execute saying Hello World on Linux Console. 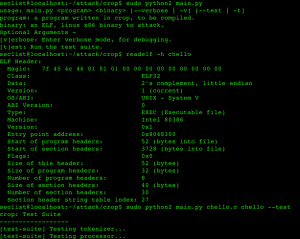 ← EAPHammer is a toolkit for performing targetted evil twin attacks against WPA2-Enterprise networks.